The law on sexual minorities is in its infancy stage in Chicago. There are a host of issues that are of concern to LGBT people in Chicago, the law being one of them. 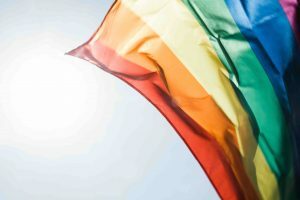 Specifically, advocacy groups have sought for protection at a time when the federal government has tried to declassify LGBT people as a protected group. That status of being a protected group is the starting point for many of the civil rights protections that are extended to minorities who have been traditionally marginalized in American society. Chicago is by no means an anti-LGBT city. It certainly has a much better record than some of its counterparts. Nevertheless, there is a lot of work that needs to be done in order to entrench these protections. Some of the debates have sometimes veered perilously close to the trivial, a case in point being the bathroom debate, which sought to consider whether it was right to force certain people to use certain bathrooms based on the gender of their birth rather than their gender identification. The legislature seeks to maintain a balance between the wishes of the majority and the interests of the minority, a core principle in democratic societies like the Chicago area. LGBT people face discrimination in a number of spheres that many people would take for granted. For example, until recently, employers could dismiss someone for no other reason than the fact that they were discovered to be an LGBT individual. Sometimes, those dismissals happened based on wrong information. Then, there were the vigilante groups that attempted to equate minority sexual orientation to pedophilia with the implicit assumption that the mob would mete out its own justice to the victims as opposed to going through the court process. The sentencing guidelines were upgraded to make hate crimes an aggravating feature of any criminal act. Other reform measures include the Illinois Senate House Bill 1785, which sought to allow people to change their birth certificates according to their chosen or identified gender. The contestation and litigation of LGBT civil rights will continue in Chicago. The state has so far adopted a fairly liberal attitude that seems to incrementally create space for sexual minorities. However, it cannot be said that an LGBT person in Chicago is totally free of the prejudices and deprivations that their sexuality has often attracted in other parts of the country. For professional legal assistance regarding the treatment of LGBT persons under Chicago law, contact David Freidberg, Attorney at Law at 312-560-7100.